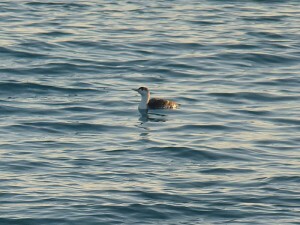 A basic type Red-throated Loon was in the lake just off the end of the fishhook pier this morning, April 9. 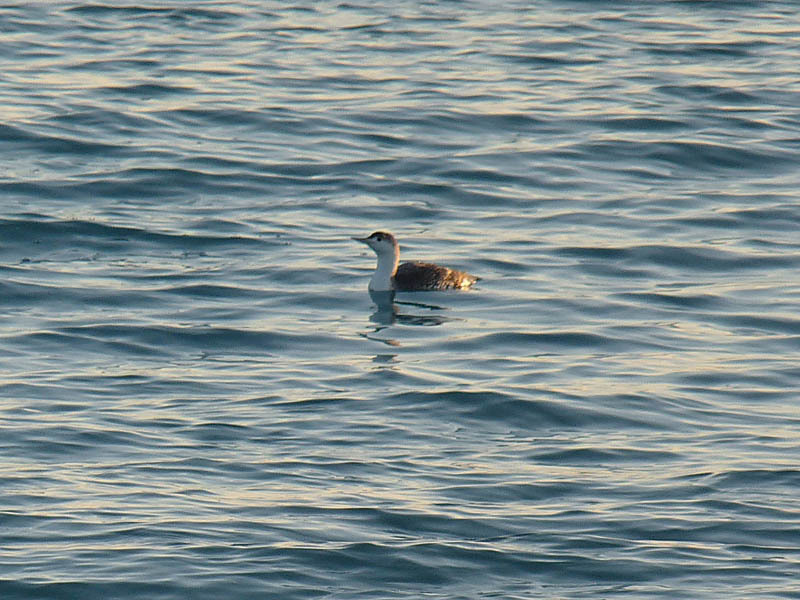 The bird was swimming and diving between the many fishing lines that fishermen have put out, and I was worried that it would get tangled or worse take the bait. What a mess that would be, both for the loon and the fishermen. When I last saw the bird it was moving away from the lines, which made me feel a little better. I saw nothing else of note this morning. This entry was posted in Spring Bird Reports and tagged Loons, Red-throated Loon on April 9, 2014 by rhughes. The Long-eared Owl from April 1 was still at Montrose today, April 2. I guess it likes the area where it’s been. I managed to get one so-so photo of the bird. Long-eared Owls are rare at Montrose and always a treat to see (and photograph). 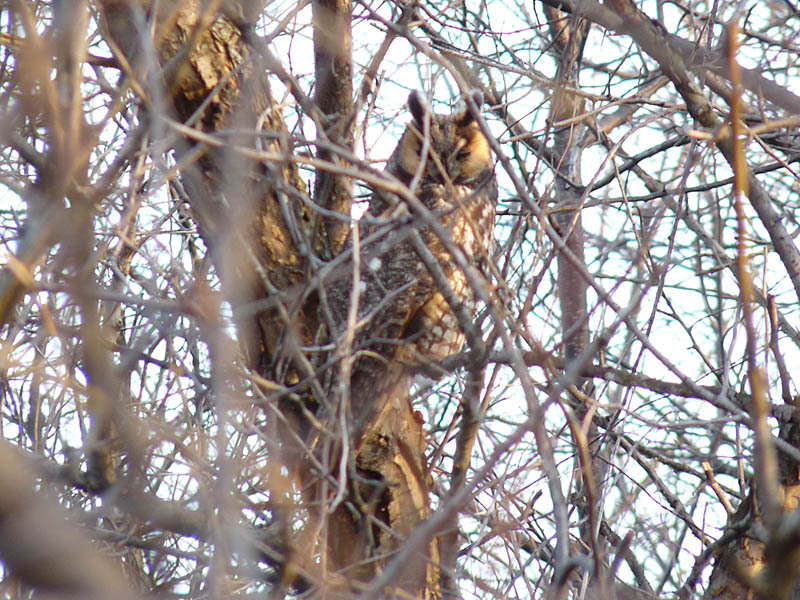 This entry was posted in Spring Bird Reports and tagged Long-eared Owl, Owls on April 2, 2014 by rhughes. I had both Long-eared and Short-eared Owls this morning, April 1. The Short-eared Owl flushed from the dunes at the east end of the beach and flew out over the lake. This is fairly typical behavior for Short-eareds at Montrose. 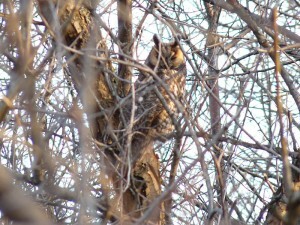 The Long-eared owl was roosting comfortably in the protected area on the east side of the Point. I saw nothing else of note. This entry was posted in Spring Bird Reports and tagged Long-eared Owl, Owls, Short-eared Owl on April 1, 2014 by rhughes.